To better understand how the American-Muslim community has faired in its treatment of women since this report was published, I decided tosurvey over 100 Muslim men and women and speak with female Muslim leaders, many of whom asked to remain anonymous. A number respondents argued that women have made only marginal gains in American mosques. Female educators, scholars, activists, and community organizers are vital to the development of the American Muslim community. 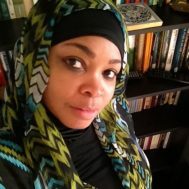 Yet, many mosques and community centersare not utilizing the intellectual and professional resources that Muslim American women have to offer.